Product prices and availability are accurate as of 2019-04-25 13:07:38 UTC and are subject to change. Any price and availability information displayed on http://www.amazon.com/ at the time of purchase will apply to the purchase of this product. NOT ALL FURNITURE PROTECTORS ARE CREATED EQUAL!! 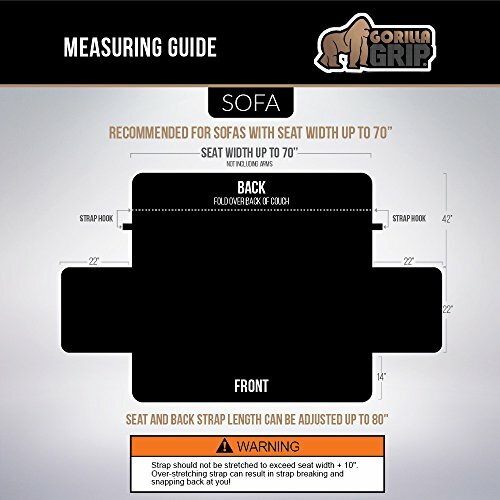 Our luxurious, premium covers have our GORILLA GRIP backing and two 2" thick straps to help reduce the need for adjustments on fabric or leather furniture. SOFT AND COMFORTABLE: Our micro-suede top is super soft to the touch. 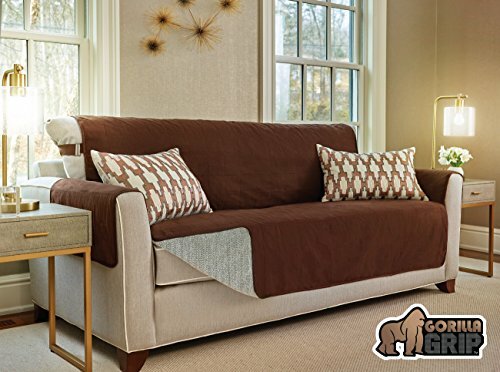 Thick padding in the middle offers a cozy and comfortable cover that will protect your furniture time and time again. PERFECT FIT: Easily measure inside of arm to inside of arm. Sofa Oversized (78"), Sofa (70"), Loveseat (54"), Recliner (26") and Chair (23"). Detailed arm, front, back, and strap measurements in photos. !WARNING: Strap should not be stretched to exceed seat width +10 in. Over-stretching strap can result in strap breaking and snapping back at you! 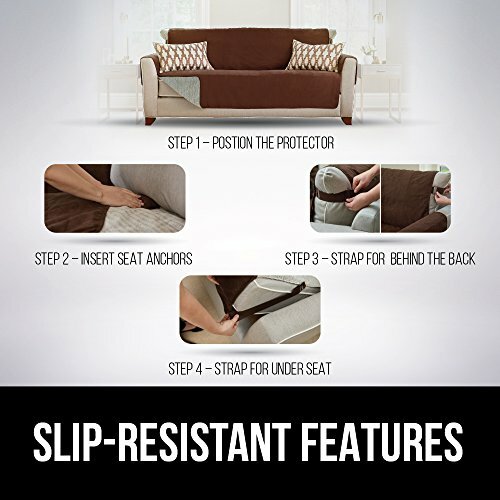 EASY USE AND CARE: Our non-slip protector works great on both fabric and leather furniture and is easy to set up! Do not use on furniture treated with additives, cleaners, or conditioners. 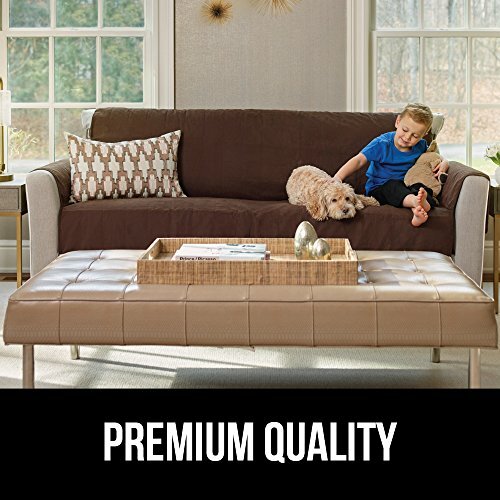 They may react with the PVC backing and result in damage to your furniture. Some materials are pre-treated. Check with furniture manufacturer and retailer before use. Additionally, before first use we recommend pre-washing the cover. 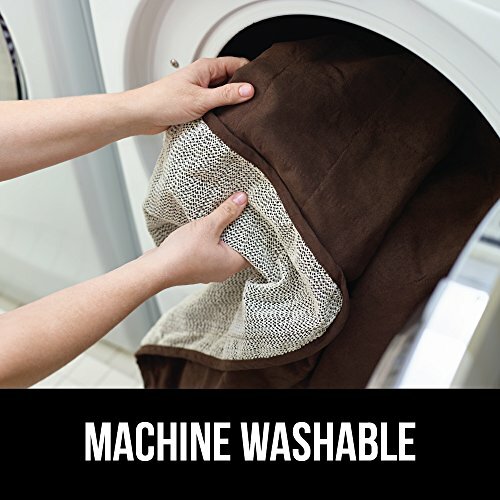 Simply wash in your washing machine on cold and air dry (no dryer). 10-Year No Questions Asked Warranty: If you are at all unsatisfied with your product, please contact us (through Amazon if past the standard return window) and we will be happy to assist you. At the end of the day we want our customers to be happy!